At We Smile Dentistry, we know the thought of oral surgery can put a knot in even the bravest patient’s stomach. For patients with any level of dental anxiety, it may be enough to avoid the whole situation altogether. You probably know treatment is in your best interest, and we want you to know you’re in skilled and capable hands with Dr. Spagnuolo and our team at We Smile Dentistry. While we are able to perform many types of oral surgery, some patients may require the help of an Oral Surgeon. We will happily organize an appointment for a patient requiring an Oral Surgeon. Our main goal is to keep your natural teeth healthy and in your mouth for as long as possible, hopefully a lifetime! However, we’re all human and sometimes things happen. 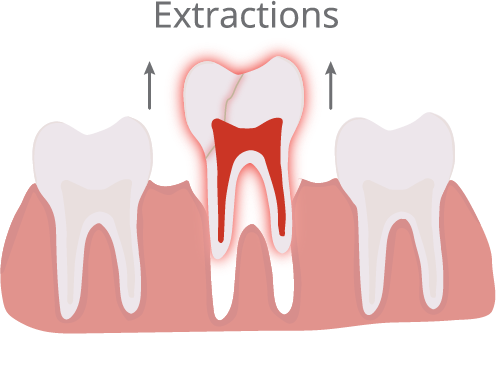 There are several circumstances in which having a tooth extracted may be in your best interest. If you need a tooth extracted, don’t worry, we’ll walk you through the entire process, address any of your concerns, and make sure you are comfortable from start to finish. We will use either a local anesthetic or a general anesthetic to put you to sleep, depending on your individual preferences and needs. We also have sedation available to take the edge off your nerves and help you relax. 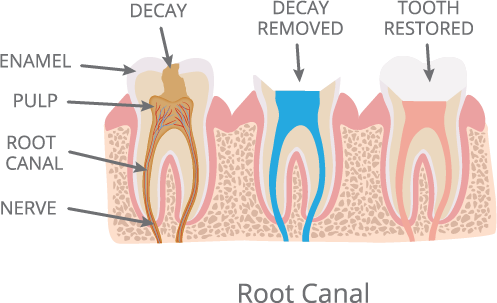 Root canals are not technically considered oral surgery because they don’t require scalpels and sutures. They can, however, prevent the need for an extraction down the road. If you have an infected tooth, you may need a root canal to save it. Don’t worry, today, root canals are a fairly routine and painless procedure. Having a root canal is usually no more uncomfortable than having a cavity filled. It’s actually the pain of an infected tooth left untreated that’s much worse than the procedure itself. That’s why you should come see us right away if you’re having tooth pain or sensitivity because the problem will only get worse over time. At We Smile Dentistry, we use a local anesthetic to numb the area and make sure you don’t feel a thing. Dr. Spagnuolo will make a small access hole in the tooth before using specialized instruments to carefully remove the infection. The root canals and chambers are cleaned, sterilized, and filled to prevent further infection. The process is typically completed with the placement of a porcelain crown to protect the tooth from further damage and restore it to health. At We Smile Dentistry, our team has the advanced training and technology to take care of many of your oral surgery needs right here in house. From soft and hard tissue procedures and reconstructions to surgical dental implant placement, we can help you get your smile back on track. We have relaxing sedation available to help you get the care you need, comfortably. If you have any questions about oral surgery or would like to schedule a visit, please give us a call at (519) 661-0042 or get in touch with us online. Your London dentist, Dr. Giulio Spagnuolo and our team at We Smile Dentistry look forward to smiling with you! Serving smiles from London, St. Thomas, Lucan, Dorchester, Strathroy, and beyond!